Leaders of the American Jewish community meet FBI Director Comey amid recent anti-Semitism. 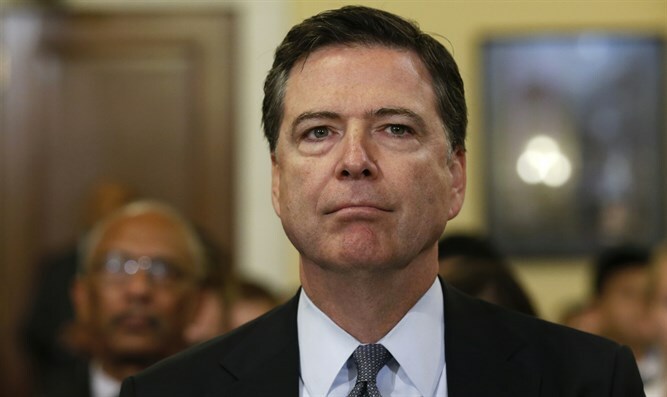 Leaders of the American Jewish community on Friday morning met with FBI Director James Comey and the senior leadership team of the FBI to discuss the range of threats that have been directed against Jewish institutions in the past two months. “The representatives of the Jewish community left with the highest confidence that the FBI is taking every possible measure to resolve the matter as quickly as possible,” the statement added. The meeting came as the FBI announced it arrested a man in St Louis, Missouri, who is suspected of making bomb threats to Jewish community centers and schools around the United States. The Justice Department said Juan Thompson, 31, was thought to be behind at least eight of more than 100 threats made in recent weeks to Jewish schools, community centers and other institutions. Thompson was charged with one count of cyberstalking, which carries a maximum sentence of five years in prison. In addition, more than 100 headstones at the Chesed Shel Emeth Cemetery near St. Louis were vandalized last week. This week, more than 100 headstones were damaged over the weekend at the Mount Carmel Cemetery in Philadelphia. And, on Thursday, five headstones were found toppled at a Jewish cemetery in Rochester, New York.